Big sensibility and creative energy around the Blues. Frenzie expresses a very rhythmical Blues which always gives the will to play. A great honor to find me here! I am always drawn to Frenzie's and Titi's blues playing. You can always learn how to play the blues but you need to really feel it to sell it. When this dynamic duo lays out the blues you can count on it being steeped in feeling. I am honored to have a little part here, thanks for all the great jams guys!! Tha best of the blues from my friends. titi is master of harp from French. He has a very blues Feelings. Thing of frenzie everyone knows well. Anyway he is excellent blues guitarist. And my good friend. 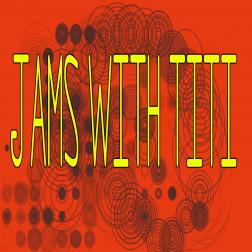 This is the album that the combination of the titi and frenzie is to listen the best of the blues. I want to listen to for hours. --Keiton Arvelaiz. Awesome album with my friend.